The Geneva Motor Show is now over, and that means all of the expensive supercars from this year's Swiss event need to leave. This video catches the Bugatti La Voiture Noire making a very slow exit out of the exhibition hall while dodging workers taking apart the various stands. Unfortunately, the clip doesn't provide an opportunity to see La Voiture Noire show off its performance or make music from the six exhaust outlets. The car never goes quicker than a slow walking pace, and the ambient noise makes hearing the engine difficult. The vehicle only seems to make a high-pitched note that sounds a little like an electric motor. 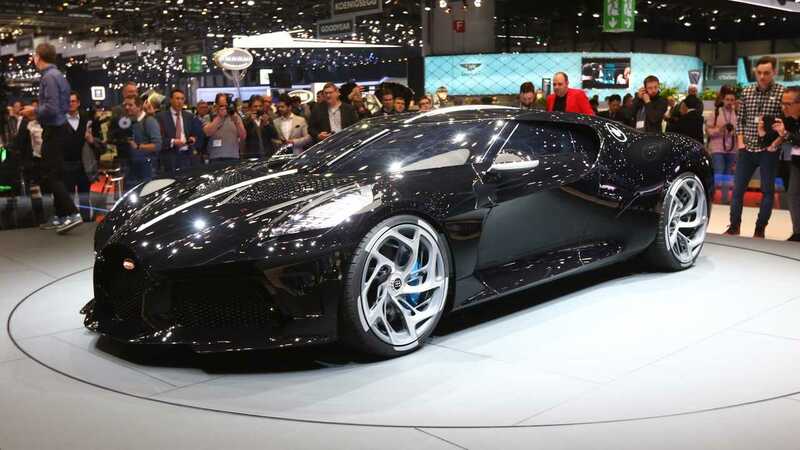 The one-off La Voiture Noire cost 16.5 million euros ($18.68 million), and the buyer was allegedly former Volkswagen Group boss Ferdinand Piëch. The powertrain includes the same quad-turbo W16 8.0-liter engine making 1,500 horsepower and 1,180 pound-feet of torque as the Chiron and Divo. So far, Bugatti is keeping La Voiture Noire's interior a complete secret by not releasing photos of the cabin or leaving the vehicle's door open on the Geneva Show stand. Since the car is driving in this video, there's at least enough inside to allow someone to drive it – at very low speeds, at least. The future for La Voiture Noire is unclear. We don't yet know where else Bugatti plans to show the unique machine – if at all. 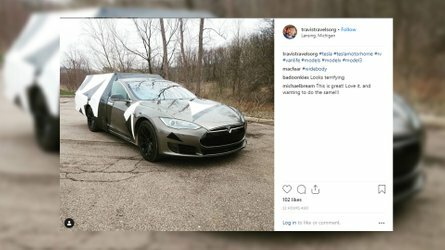 After spending over $18 million on the machine, it would be understandable for the new owner to want to spend some time with the vehicle.